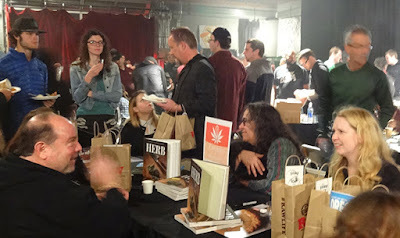 On Nov. 14th, thanks to NorthWest Leaf and a bevy of other high-profile sponsors, Portland celebrated Oregon's annual herb harvest in deliciously unprecedented legal style! 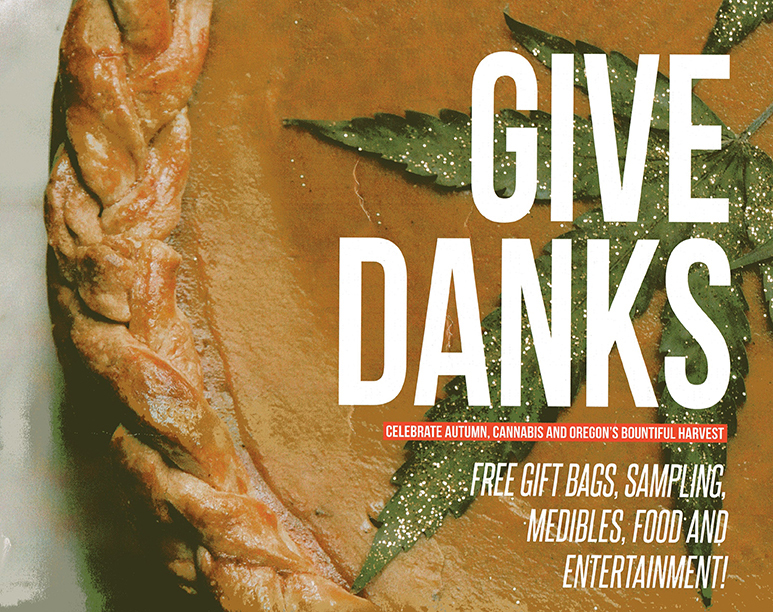 Set in a spacious venue on Glisan Street, attendees at two separate Danksgiving sessions received generously filled RAW gift bags of bud, edible and concentrate samples. 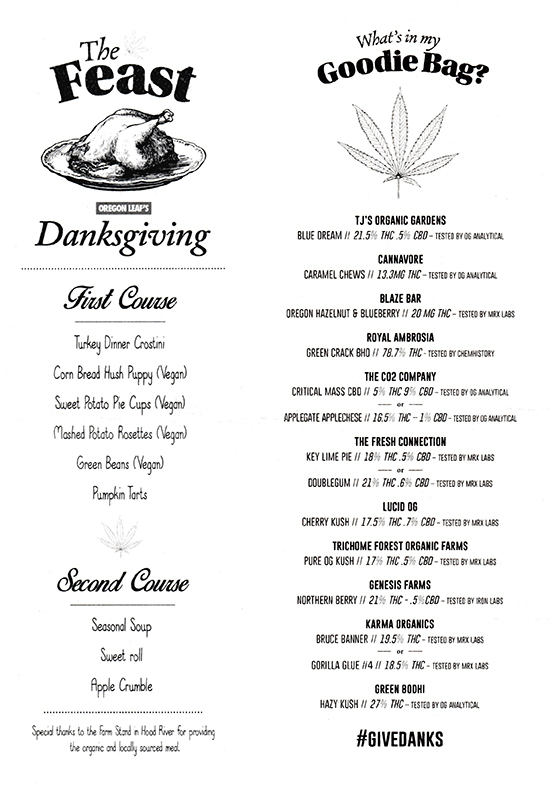 Below is the list of included cannabis products and menu of the actual, non-medicated organic feast provided by Hood River's Farm Stand in the Gorge. Jokes about junk food cravings will fade into history as cannabis and hand crafted cuisine discover their destiny as ideal complements. One notable appetizer (not on the menu) was Cascadia Creamery's appropriately named Cloud Cap, a mushroomy, semi-soft, organic cheese made in Trout Lake, Washington. Many cut wheels of Cloud Cap wafted into the smiling faces of a highly appreciative crowd. Thanks again to NorthWest Leaf for organizing such a friendly, affordable, and tasteful celebration of legal cannabis. 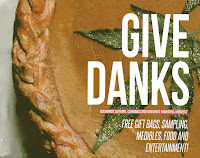 It was a wonderful example of what the whole world could be when everyone is allowed to freely #givedanks. 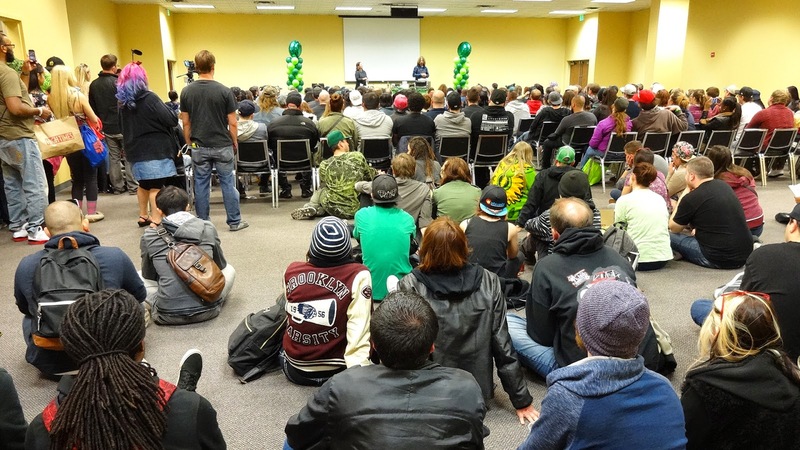 The Cannabis Rules Workshop in Salem on October 14 solidly confirmed Oregon’s dedication to Cannabis as a long-term agricultural and economic asset. 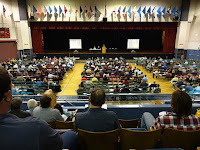 Hosted by the Oregon Association of Nurseries (OAN) and the Oregon Farm Bureau (OFB), response to the workshop, at a suggested donation price of $10, was so great that the venue was relocated from the OFB office to the Salem Armory at the State Fairgrounds to accommodate crowds at two separate sessions. Perhaps the most remarkable aspect of the event was seeing government agencies and traditional agricultural organizations actively supporting the success of legal Cannabis and vigorously advocating for its sustainable growth. 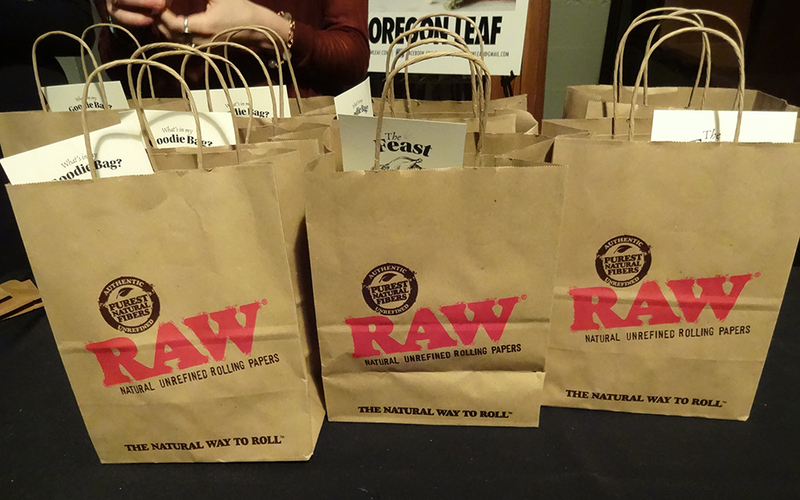 There was also evident respect for Oregon's opportunity to model national benchmarks for best practices in the emerging Cannabis/Hemp industries. As stated in the agenda handout, "The most important tools we have in maintaining our viability are unity and cooperation. Often in the public policy arena, there is an attempt to pit one part of agriculture against another. When we are strong and united, we can win. If agriculture is divided, we all lose." Workshop presenters included the nonprofits OAN, OFB, Water Resources Congress, Oregonians for Food and Shelter, Mediation Works; and the Oregon State Departments of Agriculture, Energy, Environmental Quality, Health Authority, Land Use, and Water Resources. 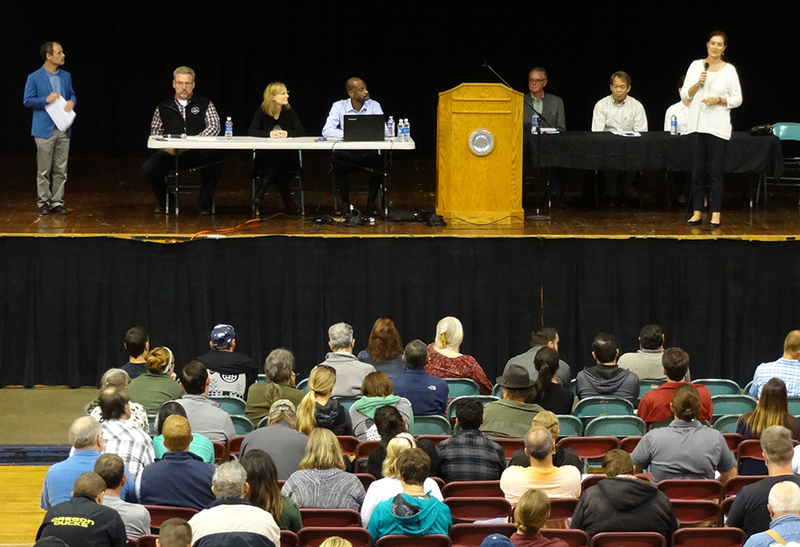 The Department of Agriculture held the largest panel discussion, often emphasizing that legal Cannabis implementation is in the early stages and will be an ongoing process for some time. Other presenters noted the reality and unknown consequence of overlap with Federal jurisdiction in some pivotal areas such as water rights and environmental quality. 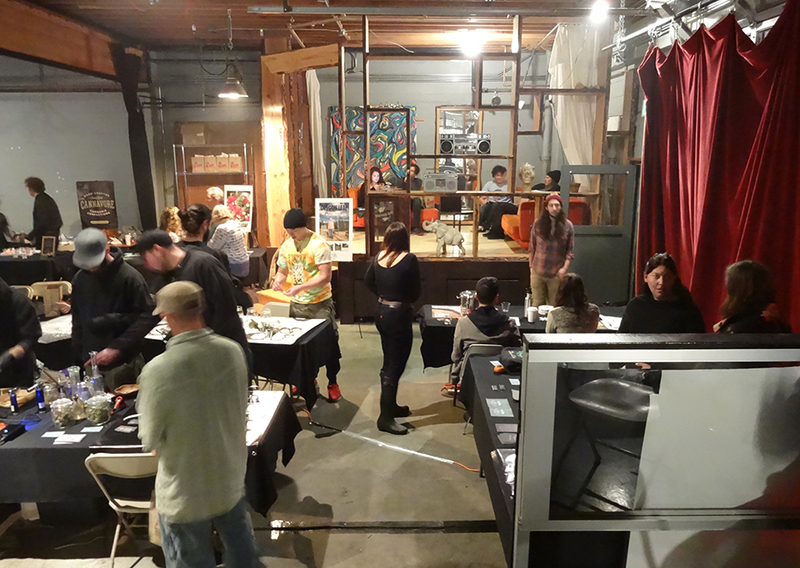 Without question, though, all of the nonprofits and State Agencies at the workshop declared an unequivocal stake in the success of Oregon Cannabis. They aim to be the best informed, most cost-effective resources available to the industry. As the final slide of the day said, "The present is here, live it." 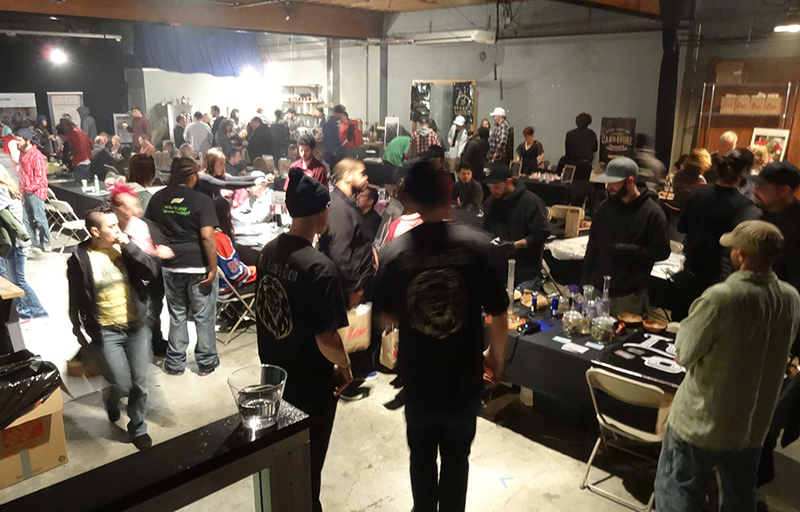 The Oregon Liquor Control Commission is holding Recreational Marijuana Licensing Workshops, free of charge, throughout the state Dec. 1-15, 2015. 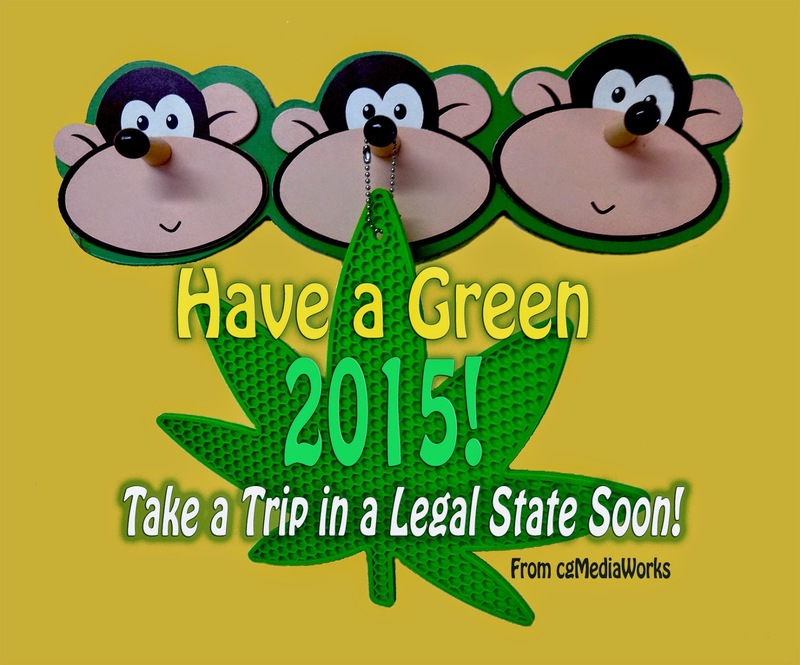 Go to www.marijuana.oregon.gov for updates. Congratulations to the Oregon Farm Bureau, the Oregon Association of Nurseries, and all participating State and nonprofit agencies for an excellent and affordable workshop. Under the headline, Colorado Sold Nearly 5 Million Marijuana Edibles in 2014, Time magazine's February 2015 issue quoted this statement from Colorado's inaugural report on retail cannabis sales, "The data reported into the system clearly illustrates a strong demand for edibles in general, but especially for retail marijuana edibles". Recreational cannabis edibles are popular for an obvious reason - legal enjoyment. And a not so obvious reason - they are an easy solution to restrictive laws around public cannabis smoking. Always at the forefront of cannabis advocacy, High Times underscored the Colorado success story with two superb edibles events at the 2015 Denver Cannabis Cup. 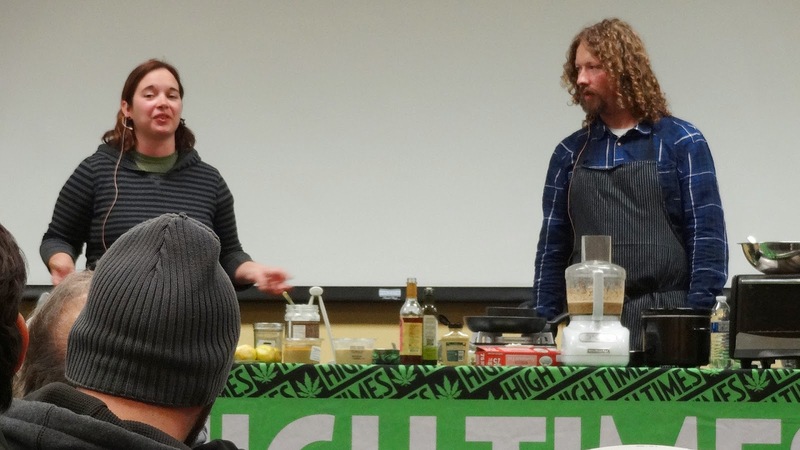 On 4/19, Elise McDonough, High Times columnist and author, shared the stage with American Culinary Institute Chef, Payton Curry, for a "Cooking with Cannabis" demonstration before an overflow audience. 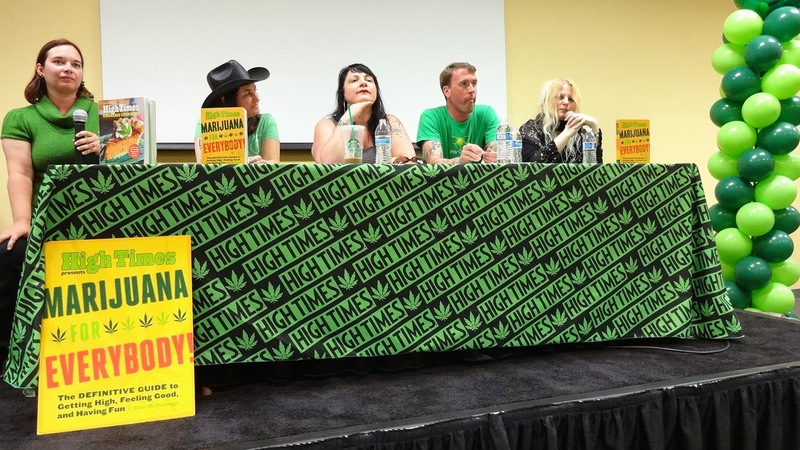 Then on 4/20, the ultimate celebration day, Elise moderated a panel of edibles experts who covered as many salient topics as time allowed. 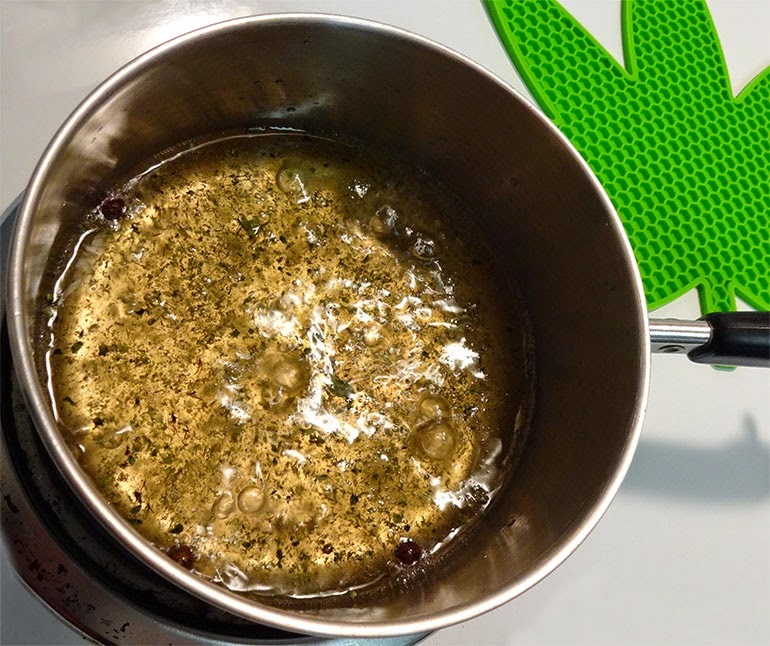 These themes were repeated throughout both events - testing, education, consistency, and compliance are helping to drive demand for cannabis edibles, infusions, and extracts. 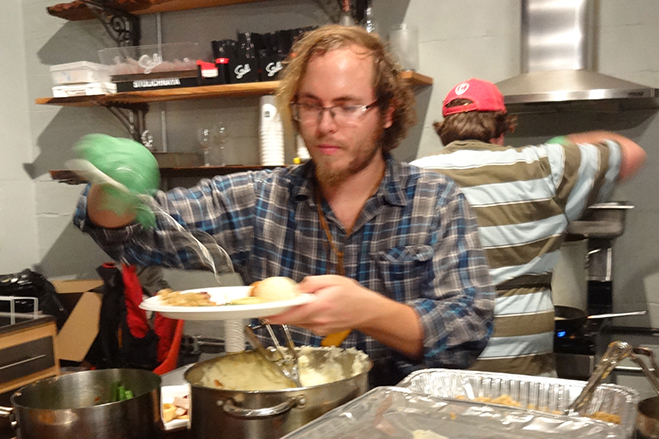 See the videos below for a virtual feast of edibles information. 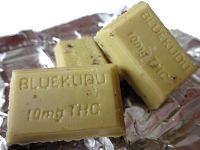 Refer to our previous post on a Start Low and Go Slow edibles experience in Denver. And above all, Enjoy! Newbie Notes: Start Low and Go Slow! 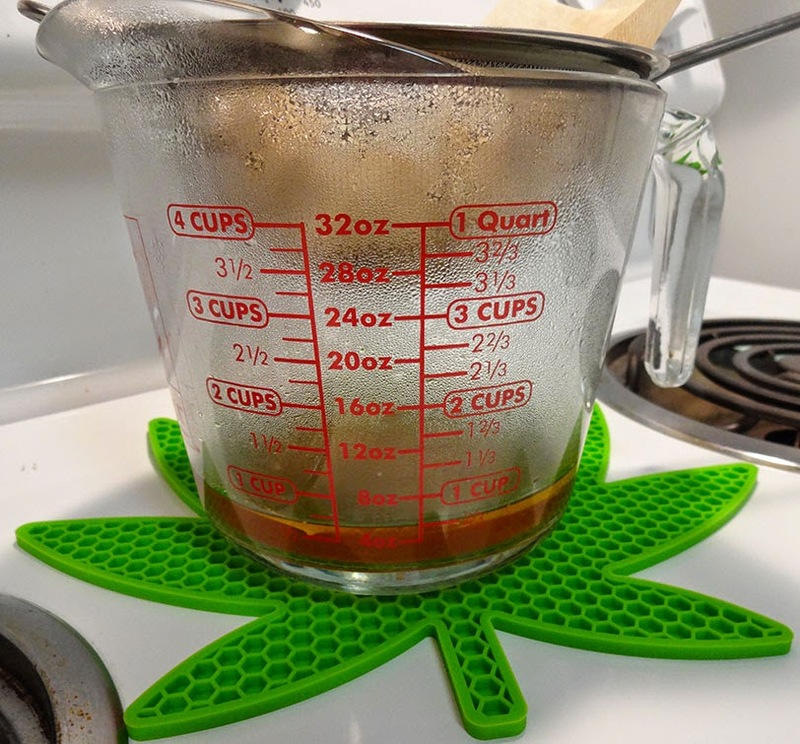 I am a nearly life-long cannabis smoker but my experience with edibles has been sporadic and uneven. Yet, when the dosage hits the mark, I thoroughly enjoy the mental and physical sensation that edible cannabis can produce. Colorado may be the global leader in edible cannabis production and is certainly at the forefront of developing the necessary standards and procedures that are beginning to shape the future of these products in the legal marketplace. 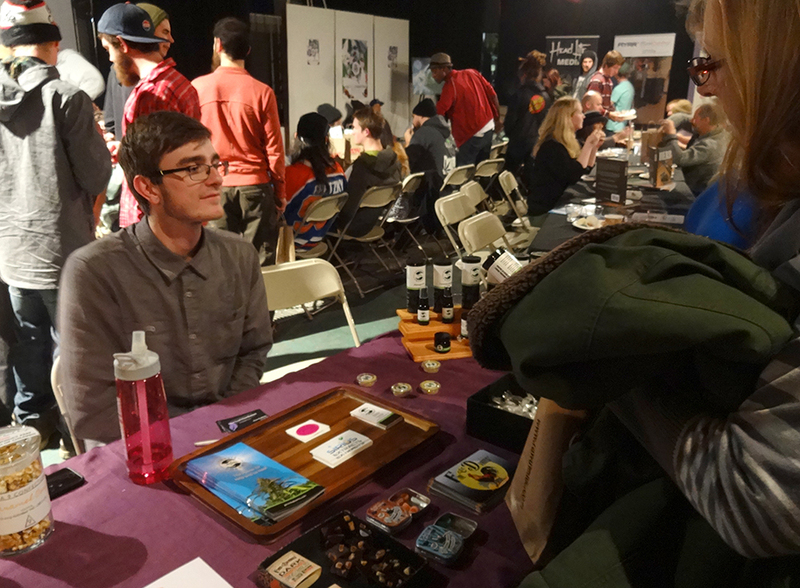 Attending the 2015 Denver Cannabis Cup gave me an excellent opportunity to experiment with my personal tolerance for the 10mg serving size now imposed on edibles in Colorado. 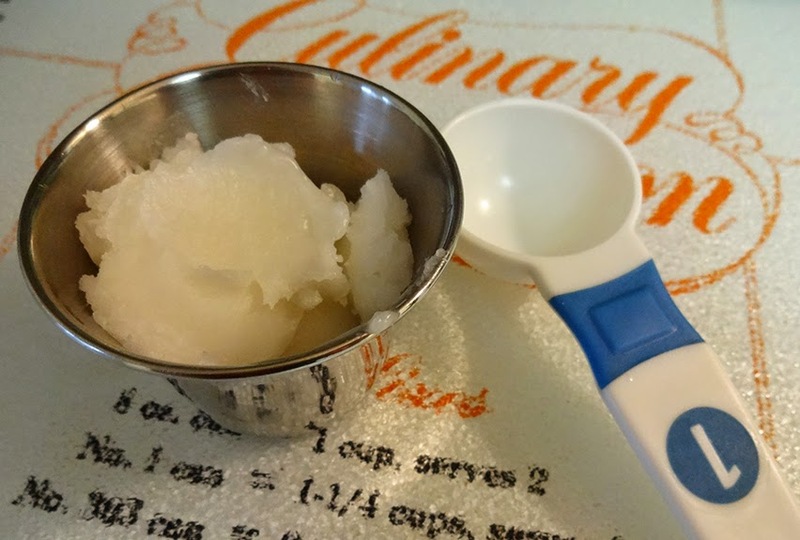 The results recorded below help to further illustrate the fact that, for a novice user, even a recommended serving size should be approached in increments. 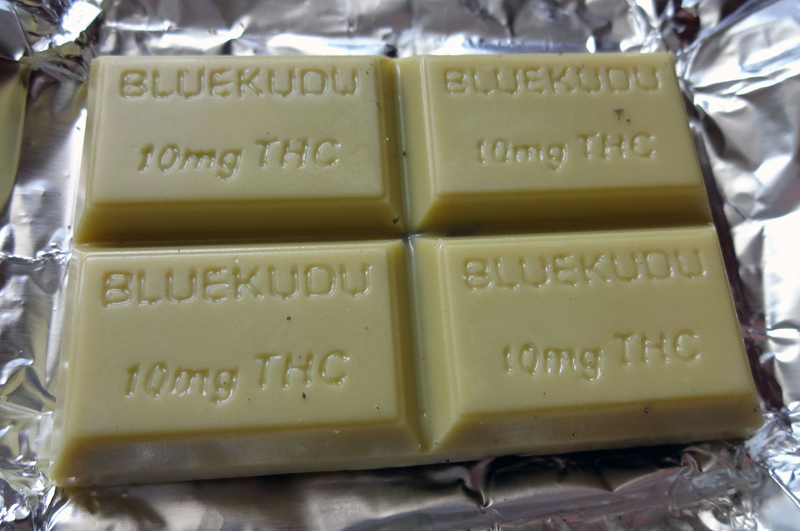 The array of cannabis edible options in Colorado is Beyond Zebra! (To quote a good friend.) But, with only a few days to spend in this relaxed legal state, I limited myself to one item that had been verified for quality and potency. 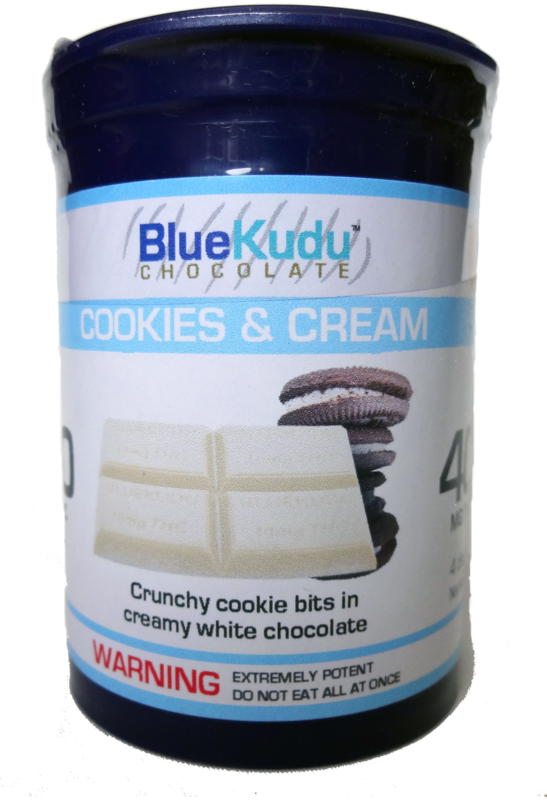 Based upon Cannabist testing research done last year, I chose to experiment with BlueKudu Chocolates, Cookies and Cream, because of its reliable THC results. 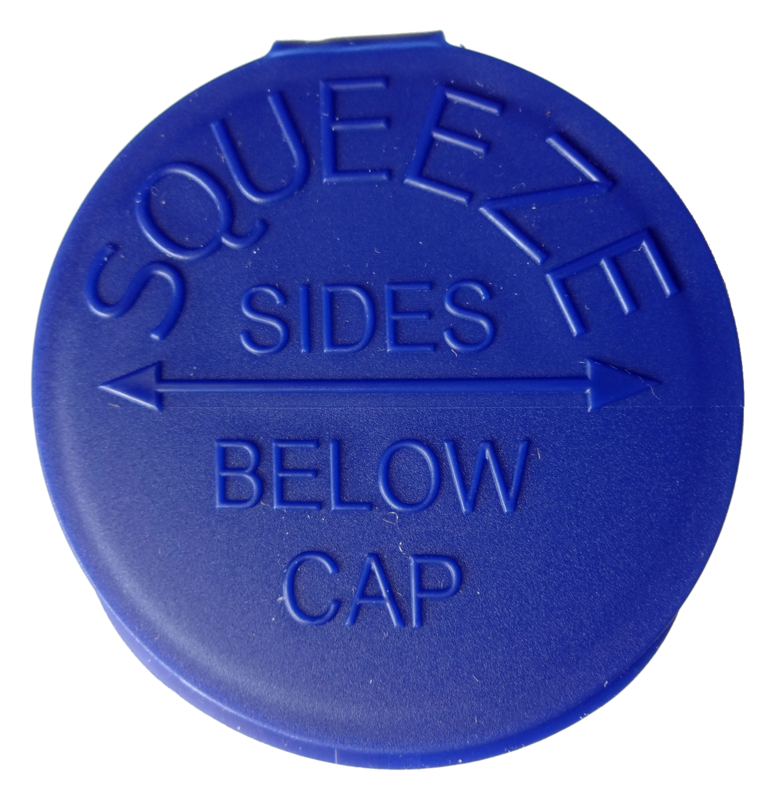 The product comes in a child-proof plastic container with a shrink wrapped seal over the opening. The label is covered with pertinent information, including recommended serving size. 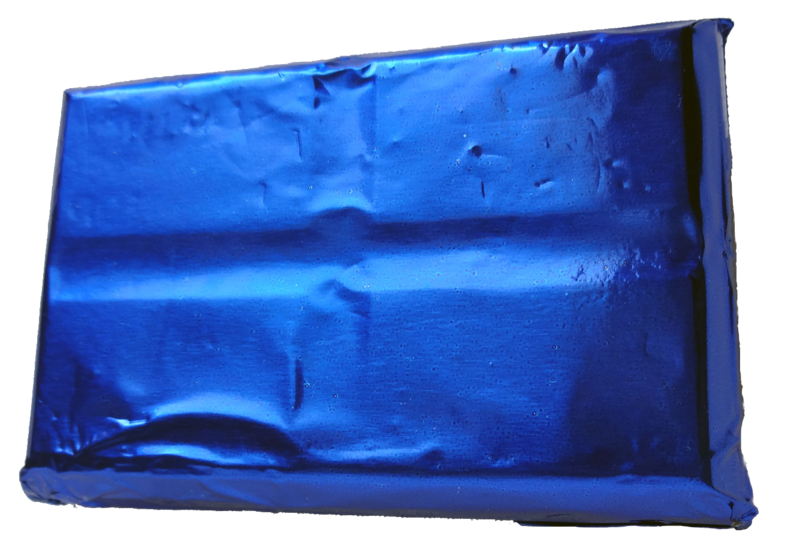 Inside the plastic container, the bar is wrapped with an attractive foil common in traditional fine chocolates. 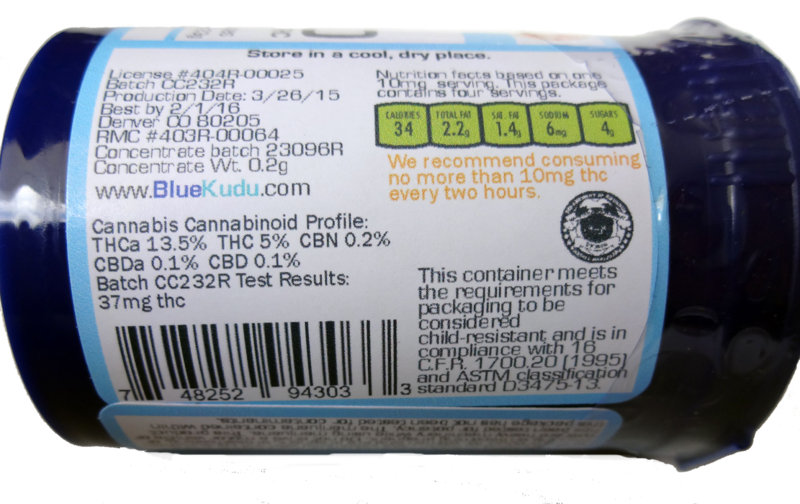 The THC content of each serving size section is clearly labeled. 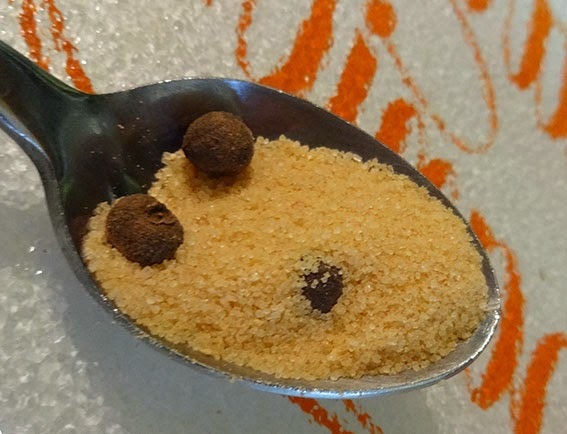 The aroma is exactly what would be expected of any "Cookies and Cream" chocolate product. 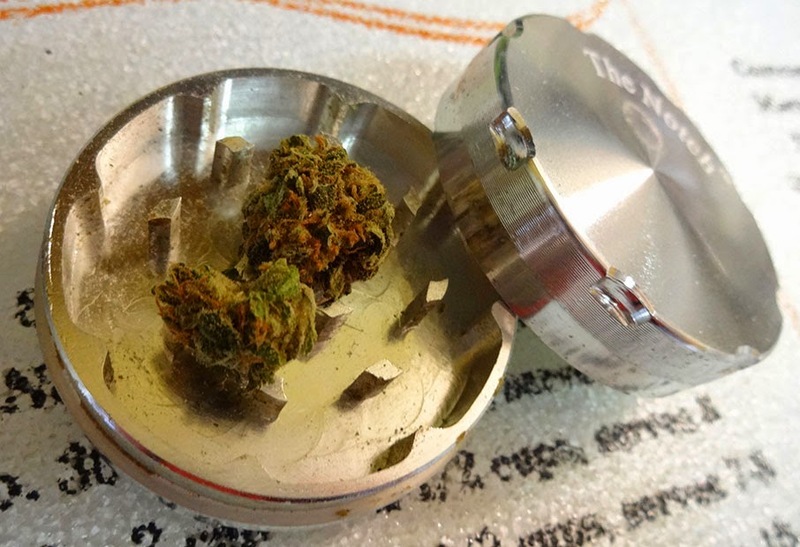 The taste, however, does have a noticeable cannabis flavor which I happen to like but may surprise a first-timer. My motel room was within walking distance of the Denver Mart Cannabis Cup events so I could experiment without needing to drive. Very Important! Possible factors influencing the effect I experienced are my size, age and gender (5'4", 110 lbs, Baby-boomer female). ~ First day I tried a whole 10mg serving - too much to be pleasant for me. ~ Second day was a half a serving, (approx 5mg). Still a bit more intense than I liked. ~ Third day pared down to a quarter of the recommended serving, (approx 2.5mg). This felt just right, providing a light cannabis lift I thoroughly enjoyed. Get educated! Do research! 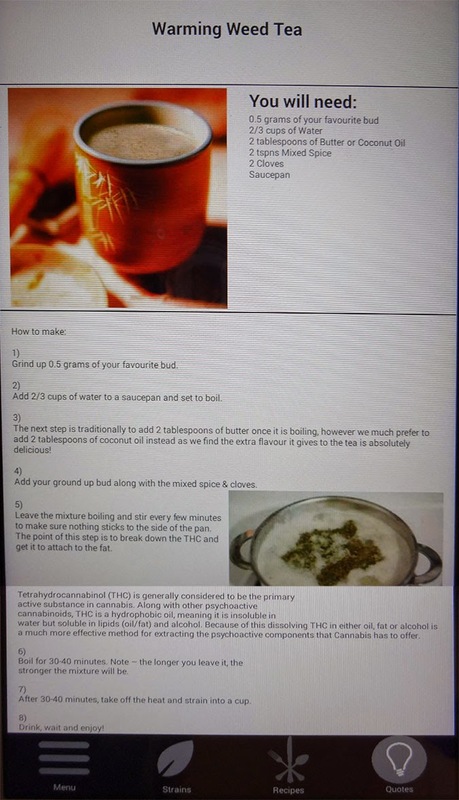 Find out as much as possible about what you'll be taking into your body, especially the tested THC level. Plan ahead to avoid stressful obstacles to your enjoyment for at least eight hours after ingesting your legal treat. Above all, heed the slogan, Start Low and Go Slow. There is no good reason to risk the unexpected. #JustSayKnow is definitely trending smart in Colorado! 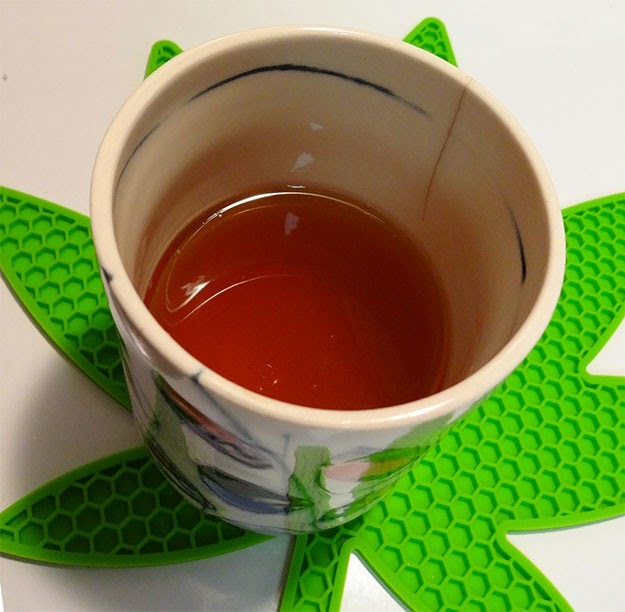 For those who are Cannabis Edible curious and looking for a simple, inexpensive way to try ingesting the herb, Delicious Stoner Tea on the Bit Coin Seed Store website and mobile app is an easy DYI option to try at home. Here is ED's step by step version of the recipe with a few pointers learned along the way. Scale ~ Good to have. 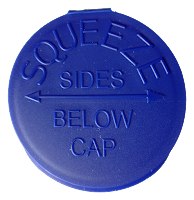 Accuracy helps to discover your preferred dosage. So experiment, take notes and have fun! 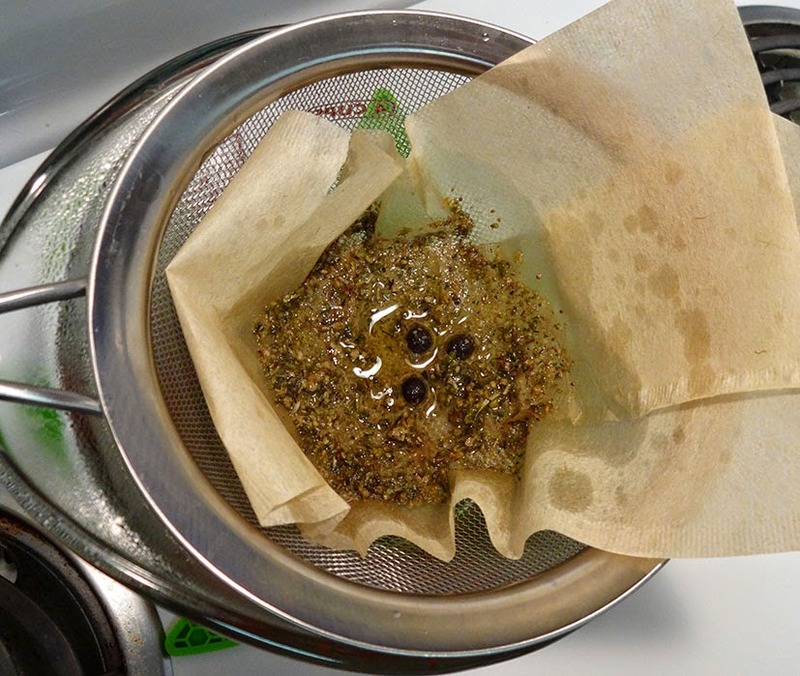 See the tea as it simmers in this video from ED's Cannabis Test Kitchen. The Edible Digest 2018. Simple theme. Powered by Blogger.